The eight-year Boko Haram insurgency has killed some 20,000 people and forced at least 2.6 million others to flee their homes. Lagos: The United Nations on Monday welcomed the release of 82 Nigerian schoolgirls in a prisoner swap after more than three years in Boko Haram captivity and urged others be freed. The girls, who were among more than 200 kidnapped in April 2014 from their hostels in Chibok, northeast Nigeria -- met with President Muhammadu Buhari in Abuja on Sunday, a day after their release in the country's restive northeast. "We remain deeply concerned about the safety and wellbeing of the schoolgirls and other victims still in captivity," said Stephane Dujarric, spokesman for the UN Secretary-General Antonio Guterres, in a statement sent to AFP in Lagos. Dujarric called for the girls to receive the help needed to reintegrate into society. 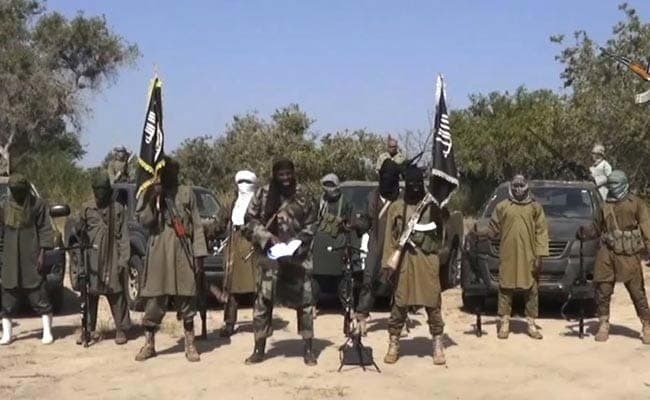 "We also urge the international community to continue supporting the government of Nigeria in its efforts to ensure the release, rehabilitation and reintegration of all Boko Haram victims." Dujarric also appealed for urgent financial support for millions in need of food aid in the insurgency-hit northeast and the Lake Chad Basin.